Posted: Tuesday, August 7, 2018. 3:08 pm CST. By BBN Staff: The United Nations Migration Agency (IOM) is implementing a series of workshops on Migration and Communication for Development for nearly 200 teachers from schools located in high migration communities. The objective of the workshops is to empower teachers with the appropriate information for them to be able to raise awareness and promote better migration management in schools and their communities. During the first portion of the workshops, teachers learned about the different risks of irregular migration, trafficking in persons, and the limitations to migrant integration, and then were encouraged to discuss solutions to these issues. In the latter part of the workshop, teachers developed comprehensive communication plans in order to raise awareness on the priority topics identified among their students and communities. “The risks of irregular migration, including trafficking in persons, are imminent for many children whose reality is marked and affected by migration on a daily basis. Therefore, is important that teachers, as front-line officers, can take action to inform their students and communities about migration, prevent the risks of irregular migration and promote the integration of migrant children in schools,” said Justin Scharf, Program Officer for IOM. 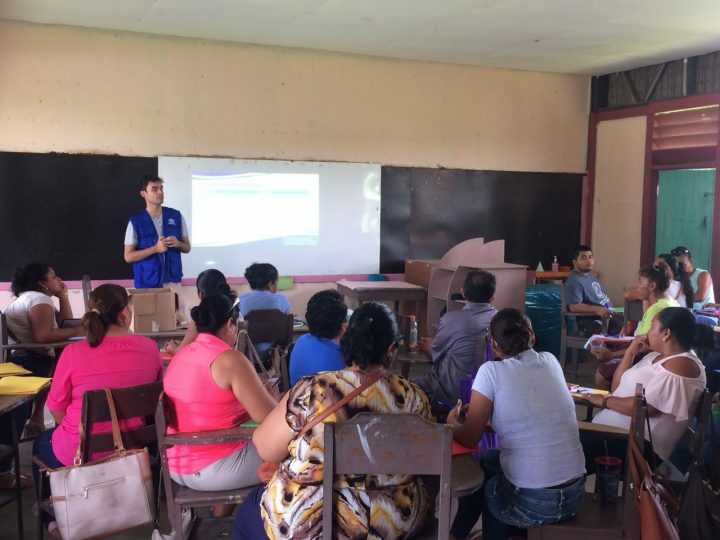 The first set of workshops were held in Benque Viejo Town, on August 6 and 7. A second set of workshops will be implemented in Belmopan on the 13 and 14 of August. The training sessions were co-organized with the Ministry of Education, as part of the institution´s Professional Development week. IOM and the Ministry of Education have already begun efforts to replicate these efforts in other districts during the upcoming years. Teachers were also introduced to the Educational Tool-Kit on Migration, a repository of materials and methodologies developed by IOM to support the implementation of awareness-raising activities in the region. The Tool-Kit is public and contains valuable information for the implementation of communication for development strategies that promote changes in knowledge, attitudes and behaviors. The Programme is financed by the US Department of State, Bureau of Population, Refugees and Migration.